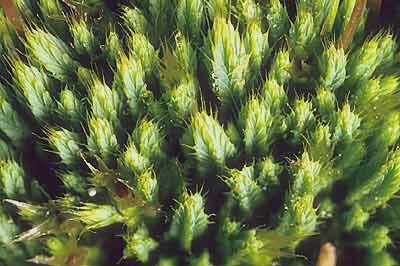 The orientation of stems and branches determines the form of a moss. Thuidiopsis furfurosum - Many mosses have a horizontal stem that bears branches right and left in a pinnate (herringbone) pattern to form a carpet over the soil surface. 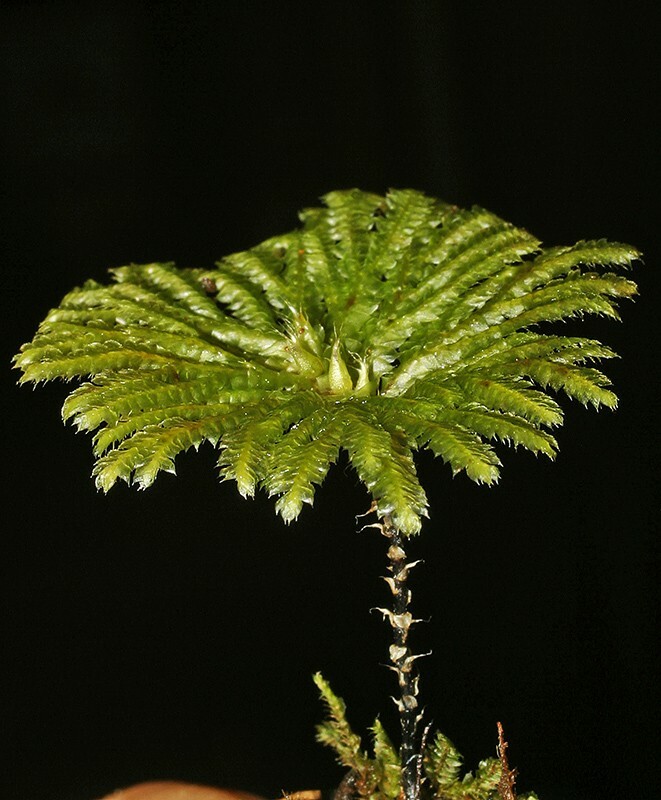 Canalohypopterygium tamariscinum - Some mosses have a vertical main stem with horizontal branching 'fronds' covered with tiny leaves to form miniature umbrella-like 'trees'. Fissidens taxifolius In a few mosses the leaves are arranged in two rows and flattened into one plane. 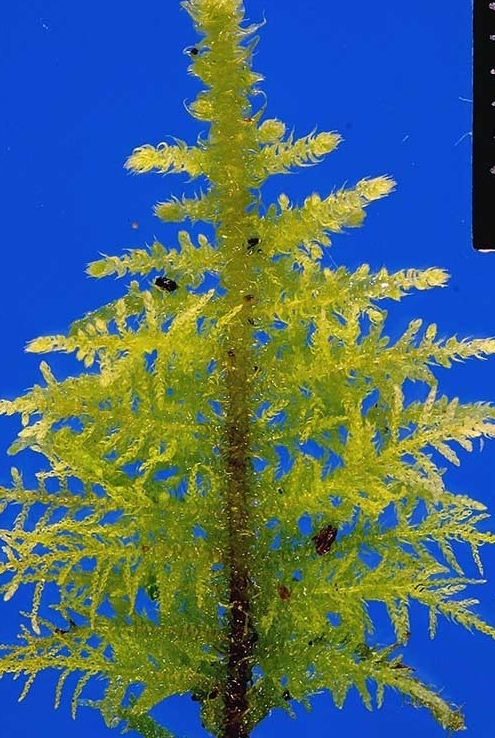 See Find by Genus page for Fissidens species. 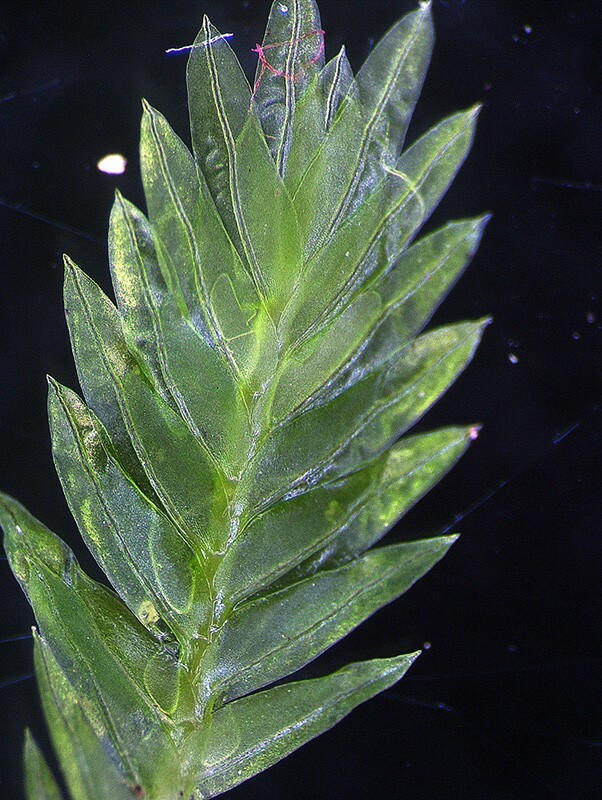 Conostomum pentastichum - The leaves are arranged in five ranks along the stem which is most unusual for a moss. 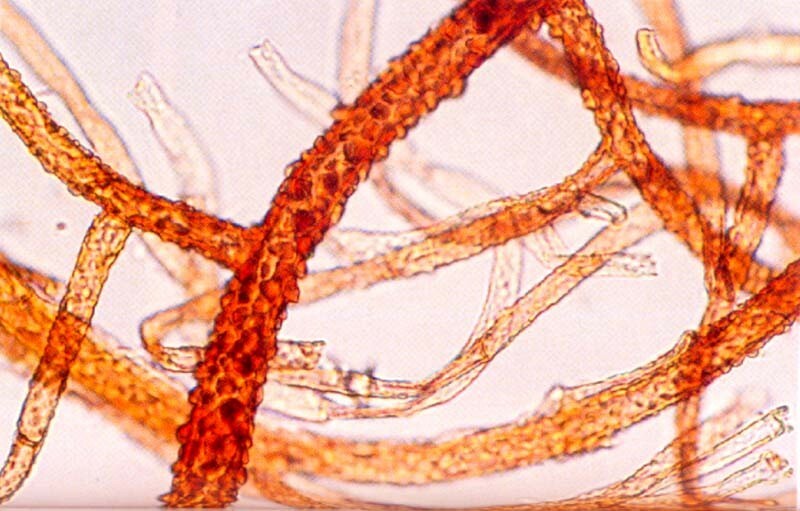 Meesia muellen, rhizoids detached from the stem - Mosses do not have roots. They are anchored to the substrate by rhizoids. 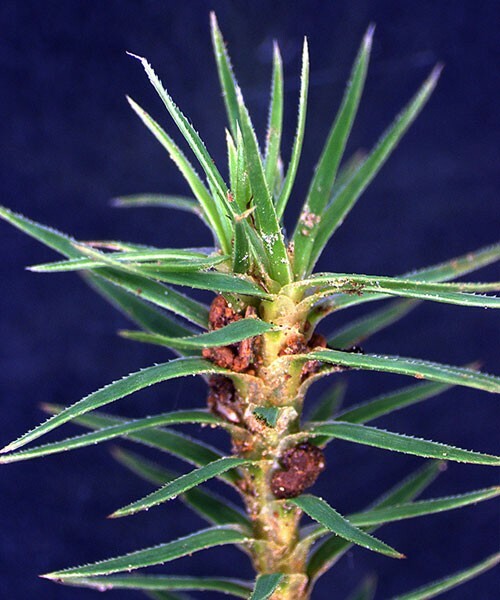 Rhizoids in the mosses consist of many cells, are branched and often have peg-like growths (papillae) on their walls.